The Leica Summicron-C prime lenses put the most modern design and manufacturing techniques into the service of creating a timeless set of lenses which manage to capture the creamy texture of the world without sacrificing sharpness and contrast. Summicron-C lenses all have a maximum aperture of T2.0. Minimum aperture is T22 and there is a totally closed position. 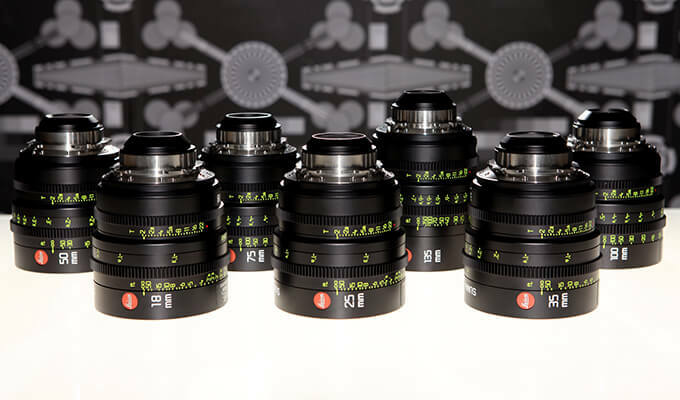 All have PL mounts, 95 mm front diameters, and are 101 mm / 4″ long (except the 135 mm, which is longer). Focus and iris barrel gears of Summicron-C lenses line up in the same position relative to the lens mount, so follow focus and lens motors don’t have to be repositioned when you change lenses.